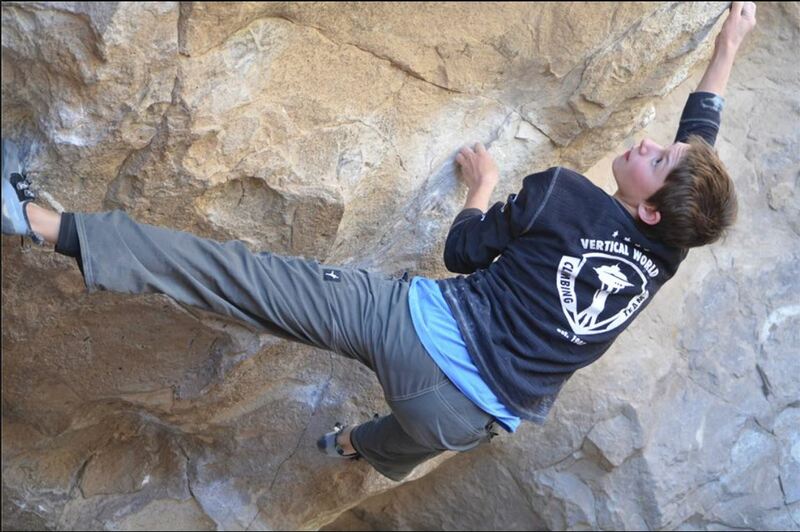 I enjoy climbing. Just climbing is fun, but when you’re with friends, or other cool people at a world class climbing area, climbing is pretty hard to beat. Also, my parents met at a climbing area, so it’s kind of a family sport for us. 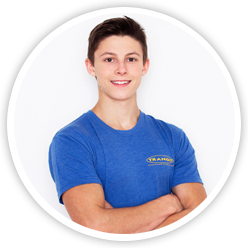 It’s a blend of exercise, being outdoors, adventure and excitement. 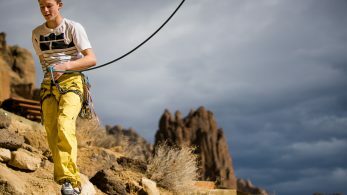 My most memorable climb is definitely Just Do It, at Smith Rock. 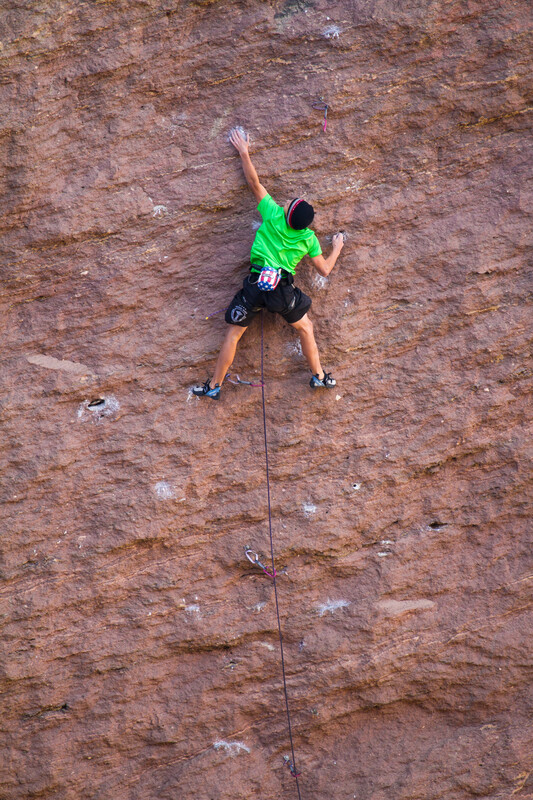 It is basically 150 feet of crimp and pocket pulling, on a slightly overhanging wall; my favorite style of climbing. 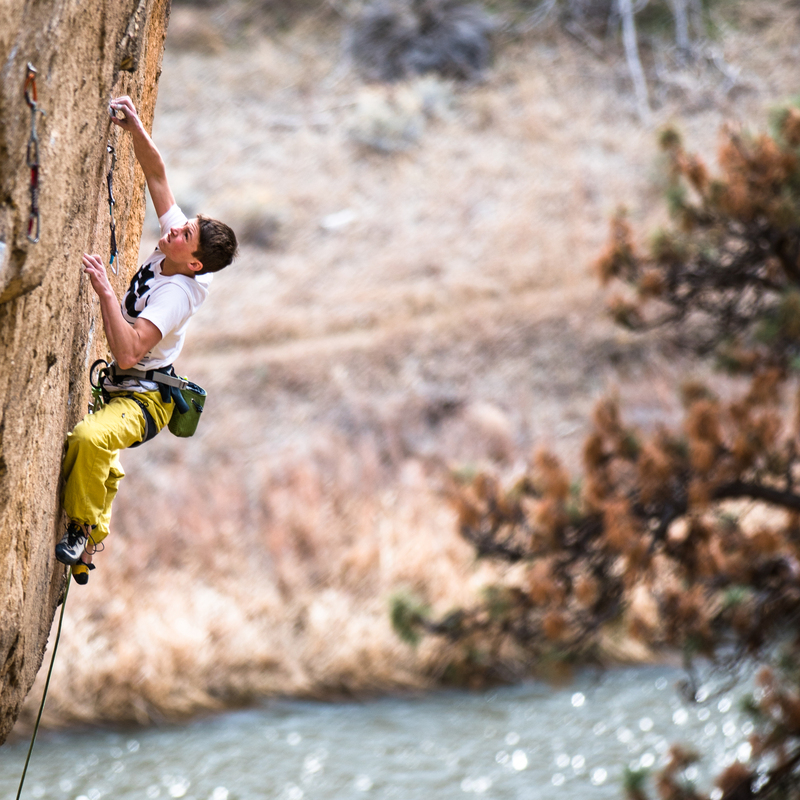 The route flows well on some of the best rock in the park. I wouldn’t change any part of it if I could! 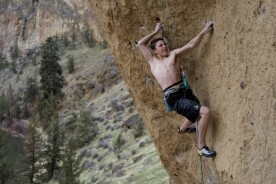 As well as that, it was also the first 5.14c in America, making it a historical route. 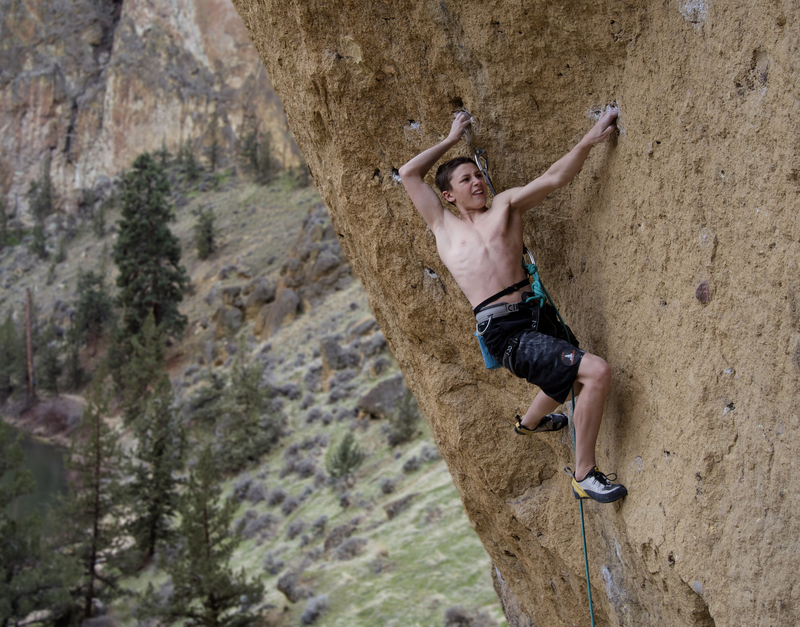 My favorite climbing spot is definitely Smith Rock. Everything about Smith is surreal. It’s in a high desert plateau, so there is always the smell of sagebrush and juniper trees, with sunny days and clear, starry nights. The climbing is amazing, with long, gently overhanging walls with lots of crimps and edges. As well as that, the locals there are a super group of people. They are genuinely psyched on each other’s successes and their motivation to push themselves is contagious. 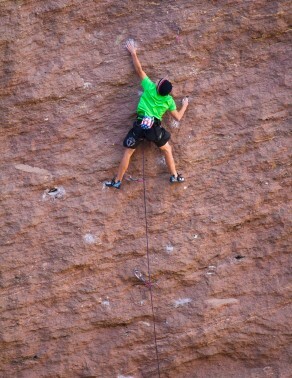 If I could only climb at one place for the rest of my life, I would climb at Smith. I was born in Washington in 1999. I’ve been climbing since I was 3. 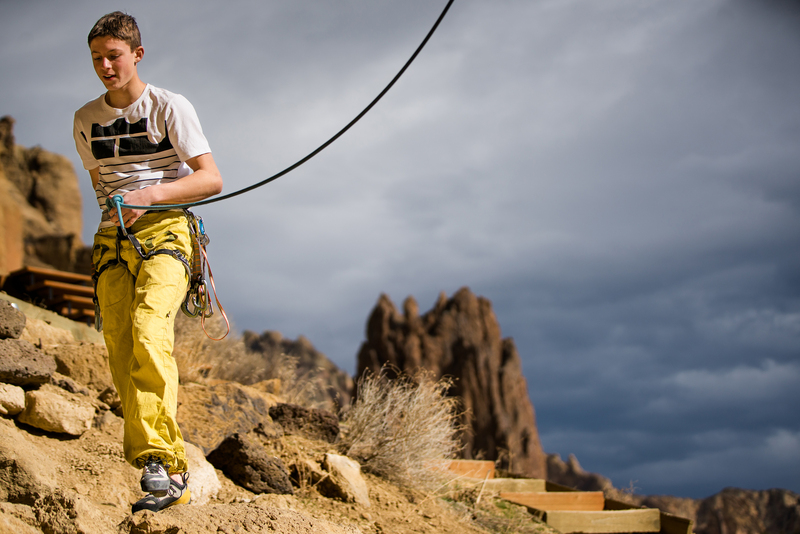 My dad took me along with him when he was cragging. 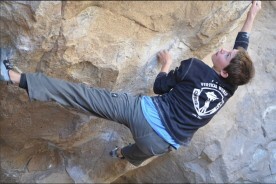 Although I’m mainly a sport climber, I enjoy pretty much any type of climbing. 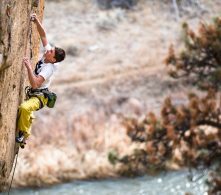 My psych for climbing is always high, whether I’m climbing a multi pitch route, competition, sport route, or boulder problem. Although climbing can be tough, difficult, and extremely frustrating at times, I try to bounce back to give it everything I’ve got. Right now, I’m in high school, trying to maintain a 4.0 in my coursework. I try to get outside when I can find the time. I can’t wait until I’m older, so I can go out and explore the world.